Bonita Kathryn Kuthrell-Archie was born April 21, 1956, in Wiesbaden, Germany to the union of William and Virginia Kuthrell. The family relocated to Columbus, OH when Bonita was ten years old. Bonita went home to be with the Lord on Thursday, January 17, 2019. She was preceded in death by her father, William C. Kuthrell and mother, Virginia (Nickson) Kuthrell, brothers, Robert E., William L. Kuthrell, sister-in-law Ersala (Posey)Vaughn. Bonita and Maurice were together for more than 27 years and decided to make it official on December 17, 2018. Bonita retired from the Department of Taxation after 30 years of service. Bonita also volunteered for after school tutoring for disadvantaged children. She was an advent writer, loved writing poetry and journaling. She was a member of Mt. Olivet Baptist Church and was faithful in working with the senior “outreach” program. She really enjoyed the seniors. She was always encouraging everyone to do their best. Bonita grew up at the Church of Christ of the Apostolic Faith. If you knew Bonita you know she was very meticulous in her appearance and loved her jewelry. Bonita was a giving person and loved her family. Bonita liked to travel - most of all she shopped and dined. She was also extremely competitive with her true love, Maurice. They were always in competition in playing cards and backgammon. She enjoyed watching a variety of different sports with her love. It was just him and her. 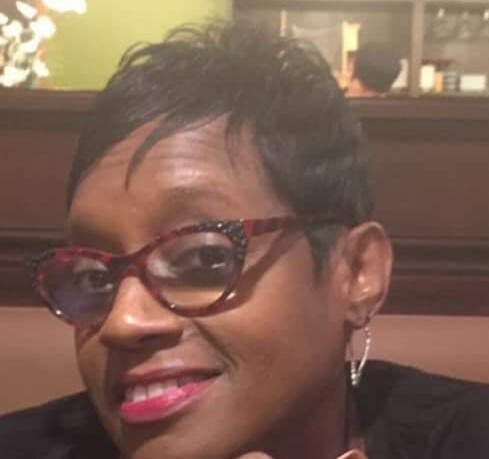 Left to cherish her memory her husband Maurice, nieces, Kayla Kuthrell of Baltimore, Camille (Purav) Bhatt of Chicago, IL, Tiffany Love, Tanisha Love, Devon Love, Andrea (Harry) Tarr , Victoria Harvey, Ericka June, Ebony Tillman, and Shakhia Love all of Columbus, OH. Nephews, Robert Jr, Brandon K. Williams, Michael June, Richard Harvey, Jerrin Berry, JeVarr Berry, Dwayne Berry(Brittany) Berry, Ervin Berry, Justin Berry, Eric Dukes, Shaquille Love and Shaquonn Love. Sister-in-laws, Sharon Kuthrell of Chicago, IL, Carol Kuthrell of Baltimore, Cherlyn Williams, Mary June and Sabrina Dukes all of Columbus, Oh. Brother-In-law, Gregory June and a host of other family and friends. Family will receive friends for celebration of life on Thursday, January 24, 2019 at 11am until time of service at 12pm at Mt. Olivet Baptist Church, 428 E. Main St., Cols, OH 43215. Arrangements by WHITE’S FUNERAL AND CREMATION SERVICES, 867 S. JAMES ROAD, COLS, OH 43227, BENJAMIN F. “BENNY” WHITE, JR, FUNERAL DIRECTOR, (614)947-1123, whitesfh867.com.